Our job in life is not so much to find ourselves as it is to create ourselves. What will you create? How do you want to be remembered? What will your legacy be? 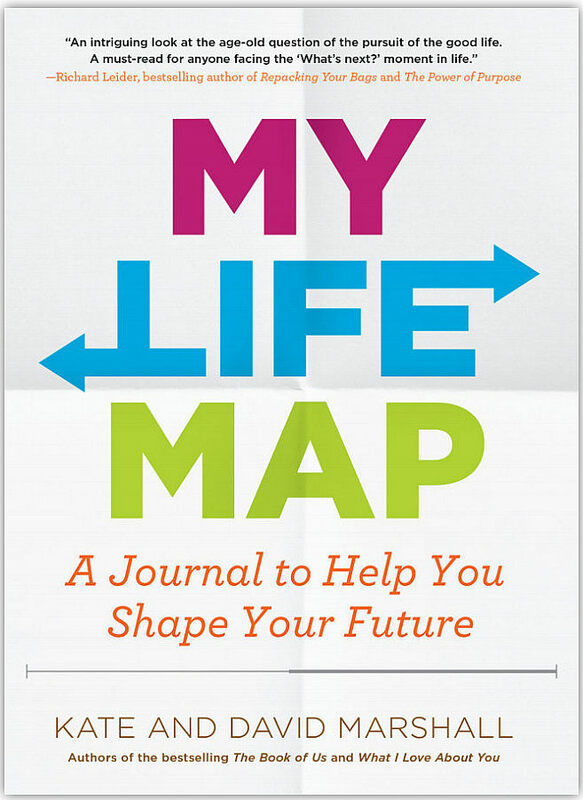 My Life Map helps you create direction, flow, and meaning to your journey. Before saying that life mapping is too hard or that your future is too uncertain to make any meaningful plans, we encourage you to give this process a chance. We often played The Game of Life when we were young; did you? Imagine how fun the game would be if you got to make up all your own career, house, and family cards. That’s what you will be doing in this book. A traditional autobiography tells the life story as it already happened. My Life Map is different. It reviews your past and present, and imagines the life stories you hope to experience in the future. No matter what stage of life you are in now, it can be helpful to draw a visual road map of your yesterdays and tomorrows in major areas such as work, service to others, learning, family, friends, and playing. Mapping out the past highlights patterns you may not have noticed before. Seeing the blank years ahead in the Life Map offers a chance to pause and reflect on your future, and encourages you to be intentional about how your story unfolds. We’re confident that the guidance and prompting questions this book offers will make it much easier and, dare we say, more fun, than you think. You really can do this. Even if you are not prone to introspection of this kind, we trust that My Life Map will help you to envision your medium- and long-term goals with more clarity, and that this clarity will lead to actions now that build toward the future you want.